Click here to visit the Hardees site, click “Enter Now,” and register. On the next page, just under “Play Now,” click “Don’t Have A Code” to request a free one (mine took about 5 minutes to arrive). Finally enter the code they gave you to see if you’re an instant winner. You play up to 3 free codes per day through September 22nd. Good luck! 500 SECOND PRIZES: A $20 gift card valid at Hardee’s and Carl’s Jr. restaurants. 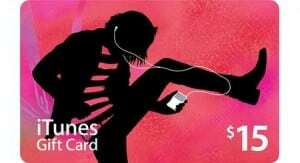 500 THIRD PRIZES: A $15 iTunes gift card.